The Big Announcement – My Next Publication! I’m excited to write this blog post today, because I’ve been hinting around my new writing project for some time, but I’ve not actually made any official announcements. 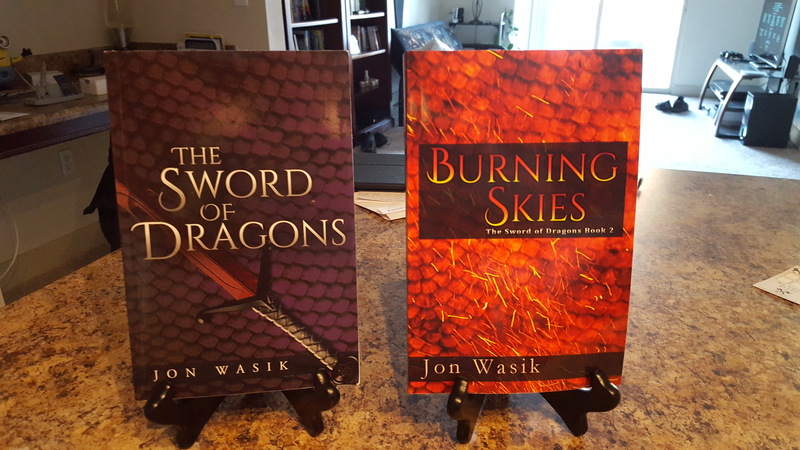 As many of you know, my life has been extremely crazy and busy lately, between moving, wedding plans, and work going through a busy period, so I knew I was not going to get the 3rd book of Sword of Dragons finished in time for its planned release. In fact, I’ve not had a chance to really focus on writing the 3rd book at all, I don’t have the time to devote to it. But with all of my conversations with my fiancee about book covers, and all of the research I’ve done online, I knew there was a project I could do that would allow for very short spurts of work on it between the busy times. 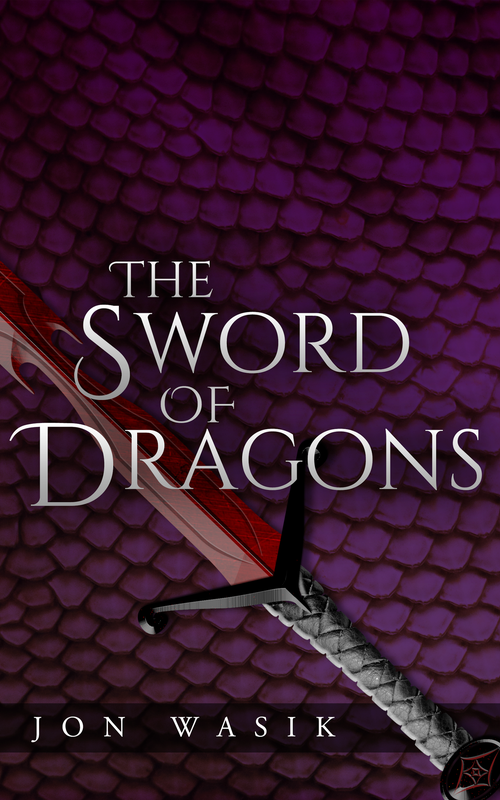 The Sword of Dragons novels have all received high praise from those who have read it, but getting people to give it a chance has been a difficult task. All of my market research and discussions with other authors and my fiancee point to several factors, including but not limited to the cover. As such, I am officially working on the 2nd edition of books 1 and 2 of the Sword of Dragons series! What does a 2nd edition mean? More than just a new cover. A whole lot more! But let’s start there. 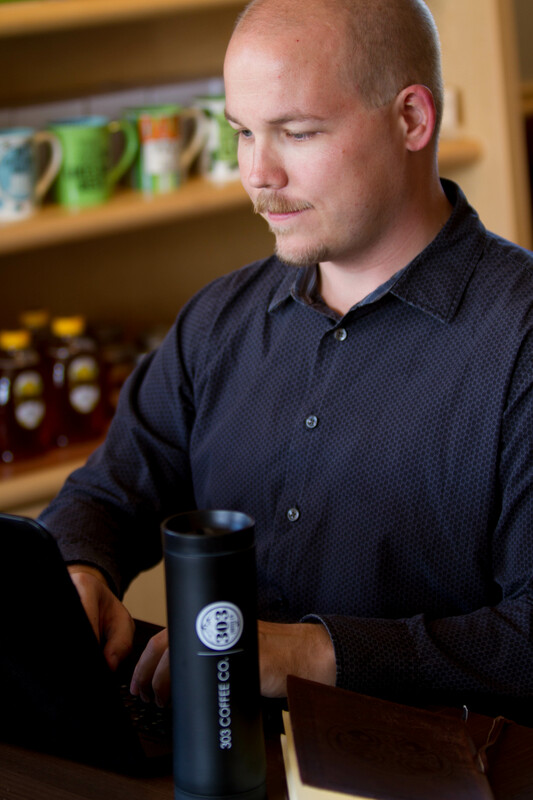 As I talked about in my last blog, I’ve learned that keeping marketing in mine from the get go has been important. This was a key focus for when I started working on new covers for books 1 and 2 while also planning covers for book 3 and for The Orc War Campaigns. I wanted to create a theme that could be carried through all 4 books, as well as be something I could carry into the rest of the series beyond book 3. My focus on marketing this time around actually was a big help in coming up with the final cover layout for the entire series! I also followed the advice of publishers, editors, and cover artists, and created multiple versions for each novels’ cover, and then worked with several people to decide which one worked best, and even how to make the chosen one for each book better. This involved sending the version to everyone helping me, as well as following my fiancee’s advice and taking a screenshot of an Amazon page, and editing in the versions of my cover to see which stood out best, and how my improvements to them changed how it popped on Amazon. The result? 4 very amazing covers! That I can’t reveal just yet. *ducks* Hey don’t throw things at me! ;) But seriously, I am not yet ready to reveal the covers. What I can tell you is test prints have turned out amazing, and even Christian, the man who made the cover for book 1, agrees that the new cover scheme is well done and works well with my genre. Where did I get the cover art? That was where a ton of my time was spent: looking for cover art. And I ended up finding a cover artist on some stock photo websites who has done several pieces of dragon artwork that is stylistically similar. This allowed me to find 4 pieces of cover art that are stylistically similar, and I have knowledge that there is plenty more for me to use for future books. The best part is, being stock art, I can buy the rights to use them on the novel. No legal issues, no ‘I hope they don’t realize I used their art without permission.’ I’ll have followed all proper procedures and will have legally procured the rights. However, before I did purchase the rights, I took the watermarked, low-res versions of the artwork and made test covers, then printed them out to ensure they would look good. This is a method I intend to use from here on out, to ensure that I don’t spend money on cover art that I end up never using. I am, after all, working on a very limited budget. Maps Will Finally Be Included! I’ve heard it from countless readers: maps are a must! 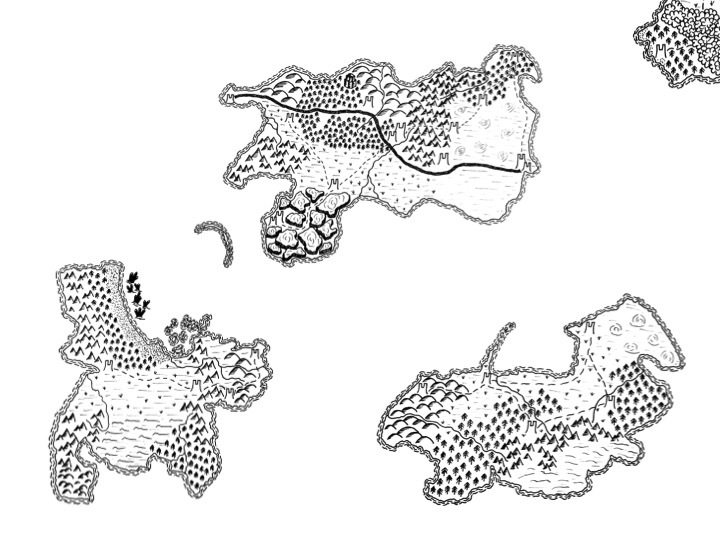 So the 2nd edition of books 1 and 2, and all future volumes of Sword of Dragons will include maps. I’ve had physical copies for a while, but haven’t had a chance to get them scanned, and a visit a couple months ago to Office Depot to get them scanned was highly disappointing, resulting in totally useless files. Thanks to Wayne Adams from VtW Productions, I was able to get high-res scans finished last weekend. This means I now have digital copies to edit and prepare. These will first be made available on the website, http://www.theswordofdragons.com/, but will also be included in the novels. I hope this will be a big help to everyone who reads the novels! My original plan with the 2nd editions was to do another set of proofreads to catch any spelling or grammar issues. As I started on book 1, it became very clear that my first published novel was in need of some serious TLC beyond copy-edit. I am not changing the story, but I am fixing up how the story is told. Sometimes this means very few changes, but sometimes this means entire paragraphs are rewritten. My beta readers have read through the rewrite of chapter 1 and thoroughly enjoy the changes, while noting that even though they have read the original version several times, the changes weren’t distracting. In fact, this is what I am working on right now, and am about 1/3rd through book 1. But…book 1. Hmm. The Sword of Dragons book 1. Naw, that needs a better title. When I first prepared book 1 for publication, Christian insisted that I should give book 1 its own unique title, different from the series title. I didn’t listen. And now I regret that decision. Those are all of the big changes coming in the 2nd edition! “What about book 3” you might ask? Well, that already has a title and a cover! But I still need to finish the actual manuscript. The Orc War Campaigns also has a cover, but again, I need to finish edits on it before it is ready for release. “When will these be released?” I do not yet have a timeline for that, and I’m hesitant to try to set one at the moment. There’s still too much going on in my life to be able to predictably work on the edits. But I am working as diligently as possible, and I am looking forward to revealing more as time goes on! I hope with these 2nd editions to please the fans I already have with a nice, polished, worthwhile product, while also attracting new readers! Wow! That’s a lot of big changes and they all sound great :) your books are on my tbr but I guess I’ll be waiting until the 2nd edition is finished. Good luck! I’ll be keeping an eye out!